4. Follow Instructions - All operating and use instructions should be followed. liquid cleaners or aerosol cleaners. Use a damp cloth for cleaning. is classified as a wet location. An appliance and cart combination should be moved with care. and cart combination to overturn. to ensure reliable operation of the unit, and to protect it from overheating. manufacturer’s instructions have been adhered to. alternating-current line plug (a plug having one blade wider than the other). the point where they exit from the appliance. in a risk of fire or electric shock. removing covers may expose you to dangerous voltage or other hazards. a. When the power supply cord or plug is damaged. b. If liquid has been spilled or objects have fallen into the unit. c. If the unit has been exposed to rain or water. qualified technician to restore the unit to its normal operation. e. If the unit has been dropped or the cabinet has been damaged. damage to the unit due to lightning and power line surges. instruction manual, may cause harmful interference to radio communications. expressly approved by the party responsible for compliance shall not be made. which case the user may be required to take adequate measures. or visit our Web site at www.philipscsi.com. D’ÉLECTROCUTION, NE PAS OUVRIR LE BOÎTIER. S’ADRESSER À UN TECHNICIEN SPÉCIALISÉ. l’utilisateur de la présence d’une "tension dangereuse"
suffisante pour constituer un risque d’électrocution. d’utilisation et de maintenance importantes. National Electrical Code or applicable local codes. d’alimentation principale pour tous les appareils. power disconnect for all units. when handling the electrostaticsensitive printed circuit boards. FAVOR REFERIRSE A UN TÉCNICO CALIFICADO. ist, um einen elektrischen Schlag zu verursachen. constituyen un riesgo de choque eléctrico a personas. mantenimiento importantes acompañan al equipo. NIEMALS REGEN ODER FEUCHTIGKEIT AUS. SIDO DISEÑADOS PARA USO EXTERIOR. cumplimiento de normas del "National Electric Code"
medio principal de desconexión del equipo. PER QUALSIASI INTERVENTO DI RIPARAZIONE. sufficiente per costituire pericolo di elettrocuzione. die met het product zijn meegeleverd. nazionale (USA) o dei codici locali pertinenti. scollegare dalla corrente tutti gli apparecchi. suficiente para dar origem a choques eléctricos. documentação fornecida com o aparelho. Nacionais) ou a legislação local aplicável. cabo eléctrico for ligado a uma fonte de alimentação. o interruptor ON-OFF se encontrar na posição ON. unidades deve ser utilizado o cabo eléctrico. urządzenia, zamieszczone w Instrukcji obsługi. Unpack carefully. This is electronic equipment and should be handled with care to prevent damage to the unit. NOTE: The shipping carton and all packing materials should be retained, in case transporting the unit is necessary. This will ensure safe transport of all components. Single-channel composite or S-video input/output connections. Accepts a single camera or multiplexed inputs from most popular multiplexers. Multiple recording rates from 0.1 up to 60 pictures per second (pps; also referred to as images per second, or IPS). Two hard disk recording modes: continuous recording (overwrite mode) or no overwrite. Two recording quality modes: S-video or VHS. Compatibility with many archiving devices (see Section 4.7). 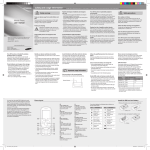 (see Wave Reader Manual [part # 3935 890 44511] & Wave Watch Manual [part # 3935 890 44711]). NOTE: Refer to the Bosch Web site, www.philipscsi.com, for a listing of the latest approved external archiving devices. 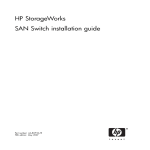 your system application, and perform the system connections according to the following installation instructions. from moisture. Do not obstruct the ventilation holes at the sides of the unit. 1. Refer to Figure 2B for details on the input/output connections supplied by the DVR1. 1. Ethernet Port: For viewing Live or Recorded Images on a PC via the Ethernet (network). 2. Power Connector: Connect 12 Volt AC external power supply (provided). AC power is likely to have spikes or power dips, use power line conditioning or an Uninterruptible Power Supply (UPS). connection (see additional pertinent information, including pinout details, in this section). 4. SCSI Port: For connecting a SCSI compatible archive device. 5. RS-232 Serial Port: Serial port for Flash Upgrading of software. Also used for external control of unit. NOTE: The RS-232 port does NOT work with a modem. Use a Null Modem type cable (Philips S1385 cable) to connect to this port. 6. Audio In (specified version only): Unbalanced, RCA style jack. 7. Audio Out (specified version only): Unbalanced, RCA style jack. 8. S-video In: Y/C video input with 4-pin mini-DIN style connector. 9. S-video Out: Y/C video output with 4-pin mini-DIN style connector. 10. Video In: Composite video input with BNC style connector. 11. Video Out: Composite video output with BNC style connector. occur, which could damage the unit. 3. When all connections have been completed, apply power to the system. Cable must be purchased separately. Ethernet port uses standard pinout configuration. For a DVR1 that connects directly to a Hub, use a straight-through connection. For a DVR1 that connects directly to a PC, use a crossover connection. Accessories Port, then wire all accessories to the Accessories PCB. pertinent connection and synchronization information. manual for specific wiring details. Record Start In: When activated, this connection places the unit in record mode. Compatible with the Disk End Out signal from a second unit. multiplexer operation by automatically synchronizing the multiplexer with the DVR1. Video Input on the DVR1. the unit to a multiplexer. loss of video on the selected video input (Composite or S-video). left-hand corner of the primary monitor. recording space left on the hard disk. menus and entering values via the front panel controls. components of the Front Panel LCD display. 1. Power On Indicator: Indicates power is ON when LED is lit. 2. Record Button: Press RECORD to begin recording. 3. Play Reverse Button: Press PLAY to play back video in reverse at the normal record speed. 4. Stop Button: Press STOP to stop recording or playback. 5. Play Forward Button: Press PLAY FORWARD to play back video at the normal record speed. 6. Pause Button: Press PAUSE to pause playback. 7. LCD: Displays the time, date, mode, and record or playback speed in pictures per second (pps). 8. Increase Record Speed Button: Press this button to increase the record or playback speed. 9. Decrease Record Speed Button: Press this button to decrease the record or playback speed. 10. Alarm Indicator: Indicates an alarm condition when this LED is lit. 11. Power Loss Indicator: Indicates power loss when this LED is lit. 12. Search Button: Press SEARCH to enter the search filters menu or to activate certain commands. 13. Rewind Button: Press REWIND to perform high-speed reverse playback. NOTE: Rewind is also used to navigate the menus and may be referred to in this manual as the left arrow button. 14. Single Frame Advance Button: Press this button to perform a single frame advance while in Pause mode. 15. Single Frame Rewind Button: Press this button to perform a single frame rewind while in Pause mode. 16. Fast Forward Button: Press FAST FORWARD to perform high-speed playback. NOTE: Fast Forward is also used to navigate the menus and may be referred to in this manual as the right arrow button. 17. Menu Button: Press MENU to enter the menu system. Also used to EXIT without saving while in the menu system. that the menu system is active. event was recorded in play and pause modes. to record or play back audio. capacity of the hard drive instead (this display is shown in time remaining). 3. Mode: Displays the current mode that the unit is in. 4. Record Speed: Displays the normal record or playback speed in pictures per second (pps). use the same navigation for programming operations. Main Menu is a pull-down menu. highlighted, press ENTER to select that item. operating parameters are usually made in pop-up menus. To exit the program menu or menu level (after all parameter changes have been made), press MENU. Use the Left/Right Arrows to move between fields in the menu. Press ENTER to select any item. Use the Up/Down Arrows to scroll through the values of that particular parameter. To save changes and exit the pop-up menu: select [OK] and/or press ENTER. To exit the menu without making changes: press MENU or select [CANCEL], and press ENTER. menu, select NORMAL RECORD SPEED, then press ENTER. A pop-up menu will appear. The DVR1 Series Main Menu allows quick and easy programming of vital system data and operating parameters. The following table provides a summary of user actions that are accessible via the DVR1 Main Menu. complete listing of the Factory Default Settings). To access the DVR1 Main Menu, press MENU. The menu below will appear on the system’s primary monitor. The time format: 12 or 24 hours. The date format: MM/DD/YY, DD/MM/YY, or YY/MM/DD. detects a signal on the Alarm In connection of the Accessories PCB. teletext alarm signal of a multiplexer or other device. Whether the DVR1 will sound its internal buzzer during an alarm condition. This menu allows the scheduling of a timed-recorded event. A sample menu is shown here. *NOTE: 0.0 corresponds to Alarm Only recording. parameters, press ENTER. Use the Left/Right Arrows to navigate, then highlight [OK], and press ENTER. • Record input (composite video or S-video) on the DVR1 rear panel. • Record speed (in pictures per second) for normal recording. • Record speed (in pictures per second) for an alarm condition. with a longer recording time. monitor (usually shown in the upper right or upper left corner of the screen). • Current time and date. The hard disk overwrite mode is set to no overwrite or overwrite once mode (see Section 5.3). Status of a system archive device connected (i.e. ready/not ready for recording). Time and date of the last alarm. Note that the system displays NONE if no previous record(s) of alarm(s) exist. During Playback, the time/date in which the recording was made. NOTE: For more information regarding archiving, refer to the Archiving. Due to the complexity of the Archive Setup process, detailed instructions follow. • Select data to be archived and begin the archiving process. • Restore data from the archive device. • Turn Background Archiving On or Off. • Set Archive Overwrite mode. The Selective Archive feature allows archiving of recorded data from the hard disk of the DVR1 to an archive device. Remote Viewer software (included with the DVR1 package). Record mode is considered to be a separate recording session). • Start and stop date of the search. • Start and stop time of the search. • Which camera(s) to search. • A search for recorded alarms. so that it will fit on the archive medium. specifying only the cameras of interest. Search Results window will appear. Use the Left/Right Arrows to navigate the Search Results menu, highlighting the recorded event you wish to select. Use the Up/Down Arrows to select a recorded event by placing [X] in the check box. bar will appear. Press ENTER to cancel archiving at any time. When the unit has finished archiving, the Archiving Completed message will appear. Press ENTER to acknowledge the message and complete the archiving process. restore the video to the DVR1’s hard drive. this mode is enabled, the archive device must provide the required data transfer and storage capacity. the 60 ips recording rate. that the archive device is full and that archiving should resume. advanced menu, manually erases the media, and resumes archiving. Continuous: When the archive device is full, archiving will continue, writing over the oldest video first. The Erase Archive Medium feature is used to erase the archive media. ERASING MEDIA . . .
Archive, and Background Archive must be set to OFF. To erase the archived data, press ENTER. The Erasing Media progress bar appears. Press ENTER to cancel. Section 5 in this manual. Note that the Advanced Menu is password protected. This screen allows the user to view important device information at a single glance. summary of these actions that are accessed via the DVR1 Advanced Menu. title and press ENTER. The Advanced Menu (shown below) appears. menus. Advanced Menu programming should be designated to qualified systems personnel only. The DVR1 Series is equipped with two (2) passwords. Administrator to prevent unauthorized access to the Advanced Menu functions. Store the password in a secure location. the DVR1 to its original factory default settings. This password cannot be altered and is set (permanently) at 0000. ENTER. The Password Box appears. the data is either erased or deleted. acknowledge the message by pressing ENTER. Note that recording will not continue until RECORD is pressed. display does not count down the remaining time till the hard disk is full). Undelete option if the video has not been overwritten. Undelete Video: Restores video if it has not yet been overwritten. Erase Video: Video is removed with no possibility of restoration. Select OFF to disable the audio recording capability. Select G.711 to enable the audio recording capability. consult your local authority. Choose from 7 to 99 days, or OFF (30 Days is the default setting). ADM WILL CHANGE. ARE YOU SURE? Data transfer rate for the RS-232 serial port (select 1200 to 57,600 baud). Enable or disable Ethernet connection (network address) settings for the unit. department for details regarding basic network configuration. string only be modified by a qualified technician. your system configuration ensures proper playback. NOTE: If a single camera input is connected to the unit, select NONE. site at www.philipscsi.com for the most current listing. Use this menu to specify the Brightness, Contrast, and Saturation of the video input. Adjustments made to the video input affect images being recorded, as well as the current display. sub-menu. Use the Up/Down Arrows to increase/decrease the setting. display when MENU is pressed. Use this menu to restore the DVR1 to the factory defaults. settings and volume partitions for archive retrieval are erased. and restore the unit to its factory default settings. password to prevent unauthorized access to the menu. and move to the next character. Pressing ENTER on the last character opens the Confirmation Box. Press ENTER to select [OK] and exit the menu. THE PASSWORD WAS NOT CHANGED! outlined in the following section. Please refer to Main Menu Programming, Section 4 for detailed information regarding these functions. • Another mode is selected. For information about altering the normal record speed from the menu system, see Section 4.5.
while the menu system is active. When an alarm condition is detected, the unit automatically switches to the alarm record speed. The word ALARM is displayed on the primary monitor, in the upper left-hand corner of the screen. The red LED Alarm Indicator on the front panel of the unit is lit. buzzer during alarms, see Section 4.3.
via the menu system. See Section 4.5 for details. speed once the alarm condition ends. that the unit has stopped recording because the disk is full. DISK FULL. RECORDING HAS STOPPED. ENTER, then ERASE (or DELETE). In Overwrite Once mode: The user must acknowledge the on-screen message by pressing ENTER. The unit will resume recording when the user presses RECORD. record or play back audio). To begin normal playback in the forward direction, press Play Forward. PLAY appears briefly in the upper left-hand corner of the primary monitor. PLAY> appears on the LCD. REVERSE PLAY appears briefly in the upper left-hand corner of the primary monitor. PLAY< appears on the LCD. speed using Up/Down Record Speed. STOP, then PLAY to resume playback at the speed that the data was recorded. NOTE: For clear audio, playback should be at the same speed at which it was recorded. During playback, pressing Fast Forward allows viewing of data at a faster than normal rate. FAST FORWARD appears briefly in the upper left-hand corner of the primary monitor. FFWD appears on the LCD. During playback, press REWIND to view the data (in reverse) at a faster than normal rate. • REW appears on the LCD. During playback, press PAUSE to pause playback and display a single frame on-screen. • PAUSE appears briefly in the upper left-hand corner of the primary monitor. • PAUSE appears on the LCD. to view the frame directly before or after the frame displayed on-screen. upper left-hand corner of the primary monitor. alarm condition or a previous recording session. NOTE: Each time the Record mode is activated, it is considered to be a separate recording session. • Which cameras to search exclusively. • Which recorded alarms are to be searched. exit the Search Results menu. Archiving applications for the DVR1 Series Digital Video Recorders. to the archive device in a continuous fashion. process continues until the archiving period is met. • Explained: This is basically another Background Archiving Mode, where all video is sent to the archive device. However, in this case, archiving is used simply to Back up the DVR’s hard drive. full, the unit prepares for overwriting (oldest data first) and begins the recording cycle all over again. remote viewer software can be utilized. DVR’s hard drive to a PC’s hard drive (No Disk Analysis feature is available). then be stored on a network or some other storage medium. The following lists the minimum requirements when using a CD-writer. • Minimum Write Speed: 4X. • Minimum Read Speed: 16X. video recorders require a standard 50-pin high density male SCSI-2 connector). Set the CD-writer’s SCSI address to zero (0). termination, then a terminator will be needed. CAUTION: The SCSI bus must be terminated properly, otherwise the system will not operate properly. Units are not always packaged with the cables and terminators. Using the DVR’s (DVR1 or DMX) menu system, set the unit for Selective archiving. Remove power from the DVR unit. Apply power to the CD-writer and allow it to initialize. Apply power to the DVR unit. status, enable the Archive Status display via the menus of the DVR unit). ARCHIVE NOT READY error message will appear. 1. Set the digital video recorder for Selective Archive operation. 2. Open the search menu of the DVR and select the file(s) for archiving. Gigabytes in the digital recorder). it) until the search results return a file size that can be archived. • When multiple small files are selected for archive, the total available space on the CD must be less than 550 MB. the CD, inserting the same CD at a later time for the recording of sequential video clip(s). • While the CD-writer is recording, the DVR unit indicates the progress of the CD-write operation. • While the CD-RW is still in the CD-writer, multiple files can be recorded onto the CD-RW medium. • Erasing a wavelet file with a .60d extension on CD is not supported. played back from a PC running the remote viewer software. • Background archiving to CD disk is not supported. • While archiving a CD, the unit can not record to hard disk. Programmer maintenance of this unit is limited to external cleaning and inspection. do not place the unit on top of other equipment, which may increase the operating temperature of the unit. DOING SO WILL VOID THE WARRANTY! Contact the local Bosch Representative for Services. For additional information, see www.philipscsi.com. and carry a one year warranty. CAUTION: Do not connect both video inputs at the same time. 0110-R301. Fits 1U, 19-inch rack unit. 3935 890 3681#, where # is incremented with each revision cycle. 3935 890 4451#, where # is incremented with each revision cycle. 3935 890 4471#, where # is incremented with each revision cycle. are not familiar with the operations of the DVR1 and the REO Monitor, refer to the corresponding instruction manuals. Ensure that the DVR1 and REO monitor’s software version is equal to or higher than noted below. connector of the REO System Monitor. 1. Connect the BNC connectors to the VIDEO IN and VIDEO OUT of the DVR1. VIDEO IN of the A/V cable must be connected to VIDEO OUT of the DVR1. VIDEO OUT of the A/V cable must be connected to VIDEO IN of the DVR1. proper synchronization between the System Monitor and DVR1. 3. If the DVR1 also has audio recording capabilities, connect the RCA connectors to AUDIO IN and AUDIO OUT of the DVR1. AUDIO IN of the A/V cable must be connected to AUDIO OUT of the DVR1. AUDIO OUT of the A/V cable must be connected to AUDIO IN of the DVR1. Alarm recording until the alarm is acknowledged by the user or automatically resets after the programmed alarm time has expired. Multiplexing (verify this via the REO Main Menu > Settings > VCR). Press MENU twice to exit. For a DVR1 connected directly to a Hub, use a Straight Through cable. For a DVR1 connected directly to a PC, use a Crossover cable. A PSTN-LAN* modem can be used for remote access to one of the Bosch digital products through a POTS line. For a DVR1 connected via standard phone line (POTS) using standard modems, see Section 5.7 for modem models. A standard DB9 Female to DB25 Male modem cable will also be required for modem communications. Refer to our Web site at www.philipscsi.com under Tech Tips, #12 Applications Notes, 3COM OfficeConnect 56K LAN Modem. system. This new software simplifies retrieval of the DVR1’s recorded video via the IntuiKey keyboard. these products is available at www.philipscsi.com. 1. Connect an RS-232 null modem cable (Philips model #S1385) from the Multiplexer’s Console port to the DVR1’s RS-232 port. 2. Connect the IntuiKey keyboard to the Multiplexer’s KYBD port using a standard keyboard cable. • Vext Pulse Out: DVR1 Pin 5 to Multiplexer Pin 21. • Ground: DVR1 Pin 7 to Multiplexer Pin 25. • Connect the Monitor to MON A output of the Multiplexer. • Connect the Monitor to VCR output of the DVR1. ADVANCED MENU → MULTIPLEXER FORMAT "PHILIPS"
ADVANCED MENU → COMMUNICATIONS → BAUD RATE "9600"
instruction manual for further information on keyboard menus). DVR1 CONTROLS. The multiplexer will enter the VCR View mode. • Presents the previous keyboard menu (RECORDER CONTROLS). • Output signal of the Multiplexer is switched to MON A. • Presents the DVR1 PLAYBACK CONTROLS menu (see Section 2.4.2). • The Multiplexer is forced into Playback mode to decode playback video from the DVR1. • Presents the DVR1’s Search screen. • Video selected directly from this menu is not decoded unless the Multiplexer is in Play mode. Press PLAYBACK CONTROLS on the DVR1 to properly view decoded video. Equivalent to the DVR1’s Enter command. Equivalent to the DVR1’s Menu button. then press PLAY on the Multiplexer’s Main menu. 1. The front panel buttons of the Multiplexer and AllPlex keyboard do not provide direct access to the DVR1’s Search menus. • Display keys for MON B are not blocked (except for Freeze). the following command via the Multiplexer front panel: ALT, 1, VCR, SEQ. DVR1 CONTROLS on the IntuiKey keyboard. • Presents the previous keyboard menu (DVR1 CONTROLS). • Output signal of the DVR1 is switched to MON A.
Presents the various viewing options of the multiplexer. Equivalent to the DVR1’s front panel buttons. the DVR1. The Baud Rate should be set at 9600 Baud, with 1 Stop Bit, 8 Data Bits, and Parity at None. See instructions for setting clock in the following section. The following table shows the command sequence for setting the clock. The gray cells in the Value row of the table indicate the correct positions for each byte of data in the command string. Hour, and Minute into the command string. The year is a 2-digit number, and the time is military time (24-hour clock). See the example to follow. In this example, 14:39 on December 25, 2000 is used to demonstrate the Set Clock Command String. Sony® is a registered trademark of Sony Corporation. Pentium® is a registered trademark of Intel Corporation. © 2003 Bosch Security Systems, Inc.
notice. Refer to www.philipscsi.com for latest information.